Not much I need to say about this cartoon, except…time to dust off the bicycle. 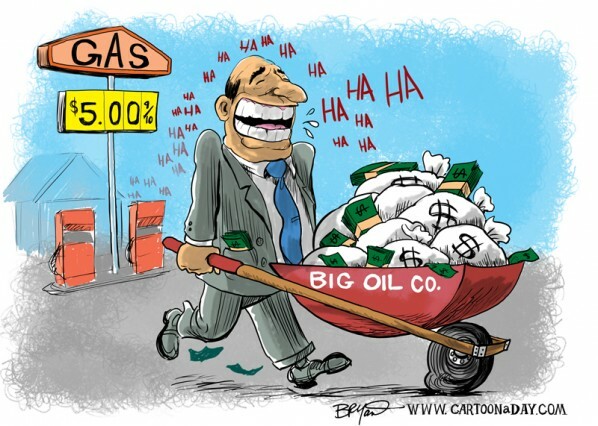 Inspiration: Funny cartoon of a Big Oil executive pushing a wheelbarrow full of cash. He's leaving a gas station where gas is $5 a gallon.